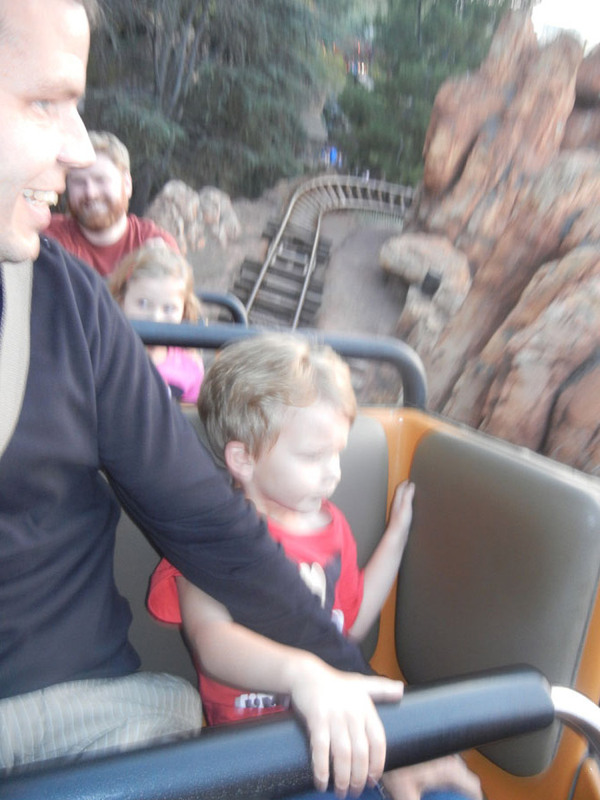 Big Thunder Mountain Railroad is the best roller coaster in Disneyland, and the only thrill ride in Frontierland. Like all Fastpass rides, there are two entrances at the front, one for Fasspass holders and one for the regular "stand-by" line. The Fastpass distribution is very close to the entrance, around the corner, closer to Rancho del Zocalo. 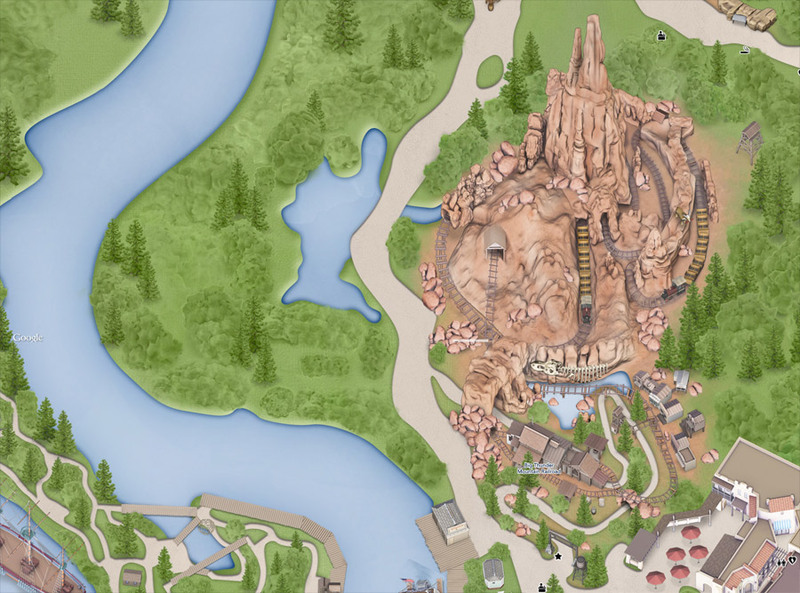 Helicopter over Thunder Mountain Railroad. The path north from Frontierland to the northside of Fantasyland. The twin lines into Thunder Mountain Railroad. This poster announced the remodel to Thunder Mountain in 2013. One of the final steps in line for Thunder Mountain Railroad is this steep staircase into the ride building. Looking down at the queue. Loading the cars platform at night. Mid ride, with a minimum-height four year old. Stacy and Nick behind me. Plus three more hidden passengers! Slowing down at the end of the ride. A rest on the Frontierland path, waiting for the time frame for our Fastpass tickets to arrive. Behind this wall lies the Rivers of America. The sign on the Frontierland path up and over to Fantasyland.